Q : Please tell us about your interest in traveling? A : I knew traveling when I was child since I love activities like exploring Kalimantan rivers while watching forest and Bekantan (a known Borneo mammal). I am currently active exploring every part of Indonesia, especially Borneo Island. This year, I am going to see Cap Go Meh event there. Q : Since when you were interested? A: Since I was in elementary school. Q : Do you consider traveling is an hobby or anything else? What you got from travelling? A : Travelling is a hobby and requirement because I know more about nature, culture, food and local people and also getting more new friends by traveling. By travelling, I know that Indonesia is very beautiful and unique and especially in Kalimantan. Q : How many place you have been travelled? Is there any something that make impressed? 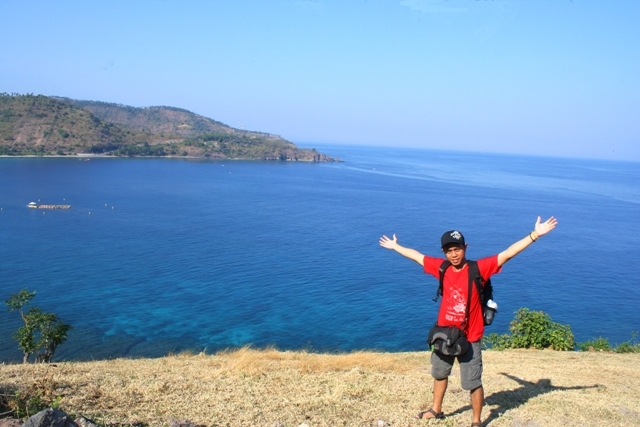 A : I’ve been in almost every part of Indonesia Islands. All these place were impressing for me.. 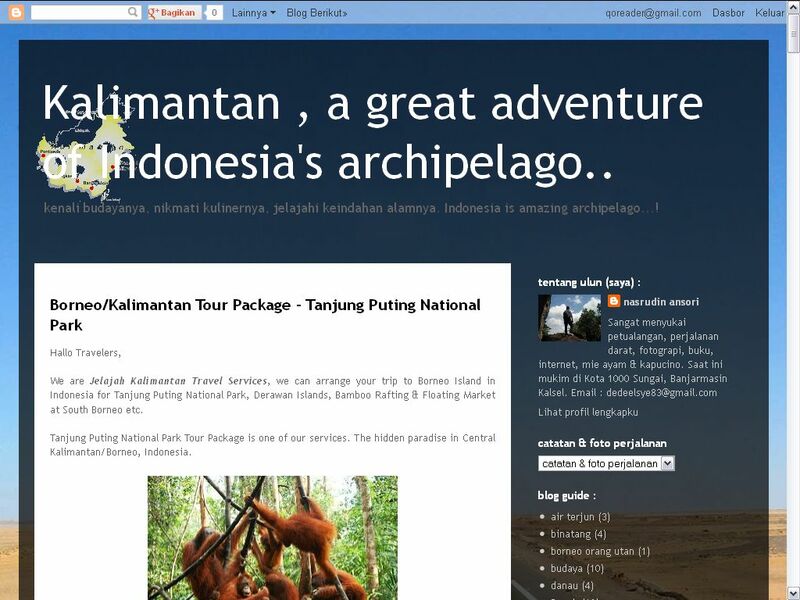 But there was a place that has more impressions, that is Derawan Archipelago in East Borneo and Raja Ampat in Papua. Why? Because those are exact places and beautiful places to do snorkeling. Q : What kind of place do you like? A : Archipelago with beautiful beaches which have white sands and blue sea. I also like urban tourism because there is architecture and lot of buildings. But I prefer visiting the beach and doing snorkeling. Q: How do you rate Indonesian tourism today? A : The management is not well-established, there are a lot of potential places that are not managed, for example: access, promotion and accommodation. Moreover, the cleanness is not priority. Only Bali Island and Yogyakarta have great management. Other than another Southern East Asia countries, Indonesia has excellent in potential new tourism objects such mountain, beaches, waterfalls, local cultures, national parks, exotic fauna and etcetera. Q : And how do you see about South Borneo tourism industry? A : The tourism here is left behind than Java and Bali in the management and also less of visitors because visiting South Borneo is regarded expensive by some people. And also tourism spot destinations here are somewhat distant each other. For example; visiting Derawan Island is very expensive but it’s really worth to see. For South Borneo itself, I think it’s pretty good, the escalation of visitors has increased from another city local tourists. Generally, people want to see Lok Baintan and Kuin Floating Market existence. Diamond Market in Martapura, Bamboo Rafting in Loksado and Banjarese culinary are the most prioritized by potential domestic tourist and outside. Q : What if you are selected to be tourist ambassador in South Borneo, just in case… what would you do? A : First, I am going to fix South Borneo tourism website and increase the awareness of tourism from the people who get into this field. Another important thing is raising the promotion into wide media professionally. Q : Besides of Floating Market as attractive for tourism to visit Banjarmasin city and Soto Banjar as its culinary, what are another interesting to do in Banjarmasin? Q : What are interesting places to visit in South Borneo generally? A : Beaches in small islands in Kotabaru, Tamiyang Bay, Teluk Aru Beach and Sebuku Islan is recommended to visit for anyone. There, you can do snorkeling watching coral reefs and seas fishes. 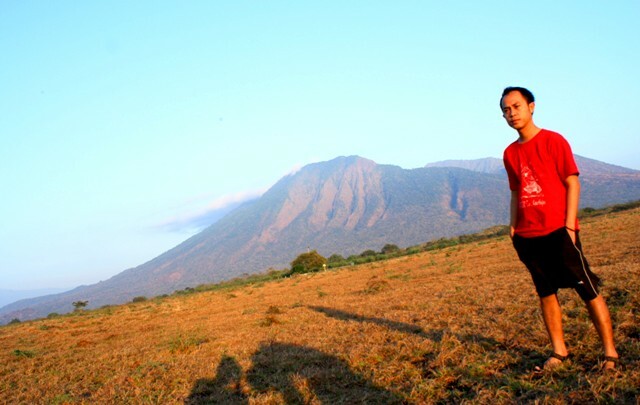 Q : What do yo think about local travelers in South Borneo? A : The interest of traveling has increased significantly since Internet boom in Indonesia. 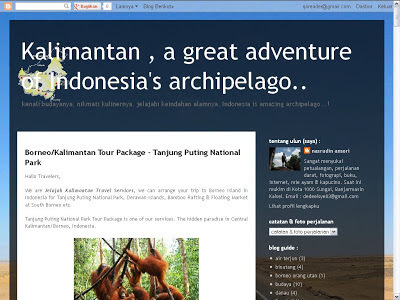 Through social media, there are thousand travelers share pictures and info about their trip, including in South Borneo. And there many groups of local travelers are created. Q : What do you think about the differences of traveling and backpacking? A : The point is basically same. But backpacking is more cheaper way to do. Q : Is traveling can be profitable? What is the example? A : It’s able if you want to be a travel writer in various traveling magazines. 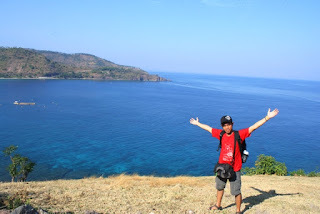 I am a travel writer for traveling magazine. Q : What is your motivation writing Kalimantanku blog (Anas blog)? A : Introducing that Borneo is wonderful, unique, rich and friendly. And ofcourse sharing many informarion about Borneo things from the culture, food, nature, cities and more so that everyone can take benefit the information as guidance if they want to travel in Borneo. Q : What is your suggestion for new travelers who want to be more pro? A : Willingness and dream to point where places that you will visit. If you have both, then the rest is effort. I mean, trying to spare your earning and divide your time to make it. It was impossible for me to go Papua due the cost was so expensive, but because I had willingness and great effort, I’ve been there lastly.